It is easy to create a guest portal with the Tokeet website builder. 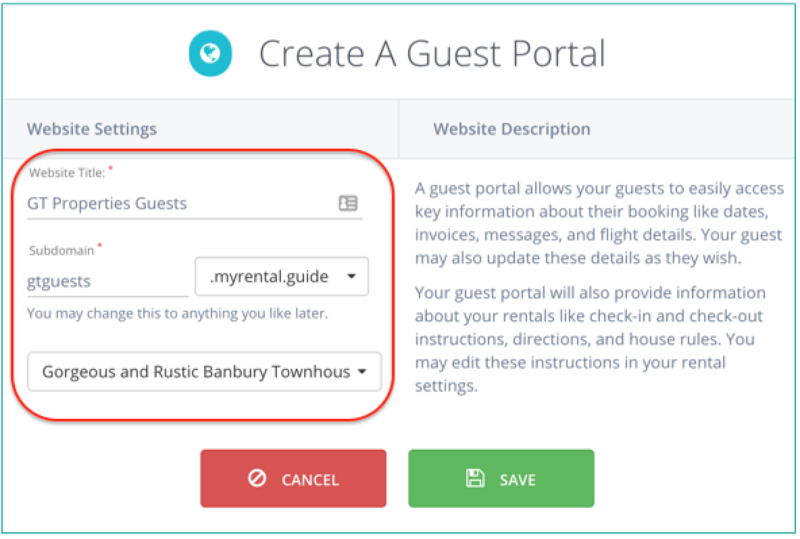 Once created, a link to the guest portal can be inserted in a message template so that you can include it in your pre-arrival message to guests. You are now brought to the guest portal details page. Action buttons at upper right allow you to Delete, Save, Preview, and Publish your portal. You can configure your guest portal further via the navigation on the lower left side. Template Settings section allows you to customize the look of your site, including fonts and colors. Most importantly, your Logo Text will be displayed to your guests in the upper-left corner of your guest portal. Other Pages section allows you to add additional tiles on the guest portal page. Click "Add Page" to add pages. 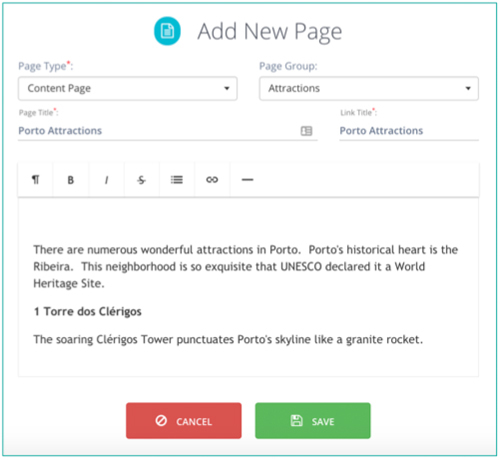 For example, you can add a custom "Attractions" section to your site. 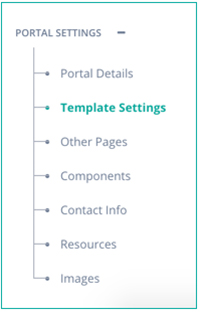 Components section allows you to turn page sections on and off. Contact Info section allows you to view and customize your host information. Images section allows you to add new images for use with your guest portal. This is optional if you've already uploaded images at Rental Settings > Image Gallery. As you continue to customize your guest portal, feel free to use the "Preview" button to watch your changes in real time. That's it! 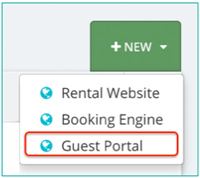 Note: Most of your guest portal content comes from the booking details and rental instructions. Tokeet will automatically show the associated rental instructions (check-in, check-out, directions, and house rules) to the guest when they view the guest portal. If you'd like to update this info, you can do so at Rental Settings > Rental Instructions. In a Tokeet message template, via the *|INQUIRY:GUEST_PORTAL|* variable.